In addition to dosimetry monitoring service, LANDAUER also offers a full range of equipment designed for passive dosimetry. These devices are used throughout the world, especially in nuclear power stations, hospitals and dosimetry laboratories. They enable Radiation Protection Experts to follow and optimize doses received by exposed workers in all industry sectors whereby radiation sources are used. They help medical physicists to reduce the risk of overexposure of patients in radiology, nuclear medicine and radiotherapy. They are also used to control the integrity of electronic cards during non-destructive testing. Dosimetry is our core business, trust our expertise! Patient safety is at the heart of public attention and regulatory controls. Increasingly complex treatments and standards evolution increase the need for quality control procedures. 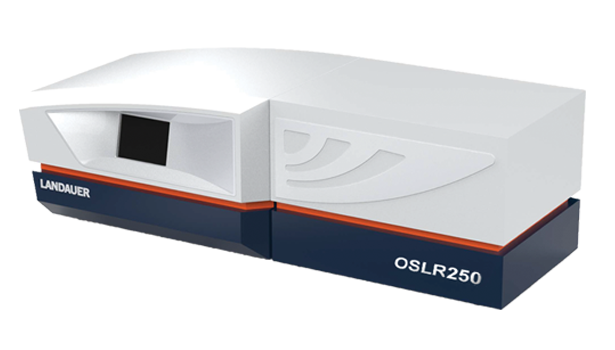 LANDAUER equips your facility with patient dosimetry systems to perform independent verification of prescribed doses: the mobile reader microSTARii® and nanoDot® dosimeter equipped with OSL (Optically Stimulated Luminescence) technology. Developed by LANDAUER, this technology enables actual measurement of the delivered dose and confirms doses calculated by the TPS (Treatment Planning System). It provides a simple, flexible and wireless complementary solution to conventional in vivo* dosimetry measuring systems. * in vivo refers to shallow doses. 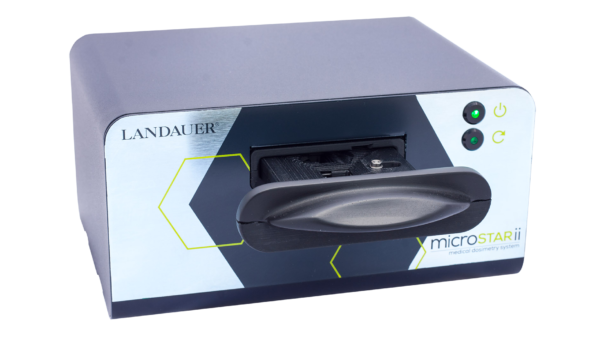 LANDAUER offers a full range of passive dosimetry laboratory equipment. The InLight® dosimeters use OSL technology and measure X rays, gamma, beta and neutron radiation. 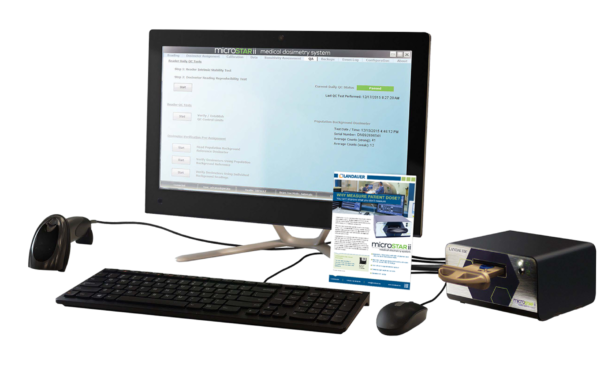 The microSTAR® and OSLR readers report doses measured in Hp(10), Hp(0.07) and H*(10). Our solutions adapt to the size of your facility. They are easy to integrate in dosimetry laboratories of nuclear power stations and hospitals. They are also used by Radiation Protection Advisors to perform emergency dose measurements or for area and environmental controls. These non-destructive controls allow inspection in areas that are not directly visible, such as weld seams or some components (BGAs, chip-scale package and flip chips). the software allows for dose calculation received by the components in Gy (Si), the storage of the doses and assignment to control or card numbers.